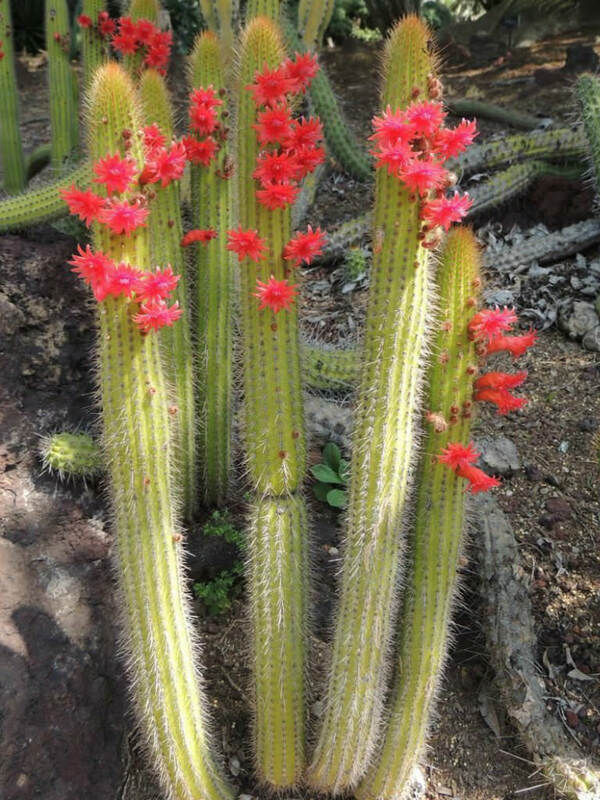 Cleistocactus samaipatanus is a long, narrow, columnar cactus, lime green in color, with 14 to 17 ribs and stiff pale gold spines up to 1.2 inches (3 cm) long. 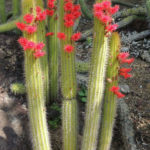 It plants shrubby, branching basally with several upright stems up to 5 feet (1.5 m) long and up to 2 inches (5 cm) in diameter, forming open bushes up to 5 feet (1.5 m) wide. 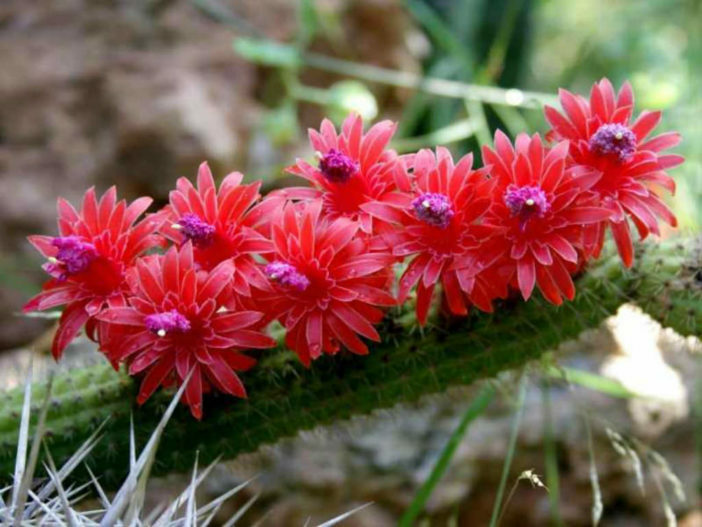 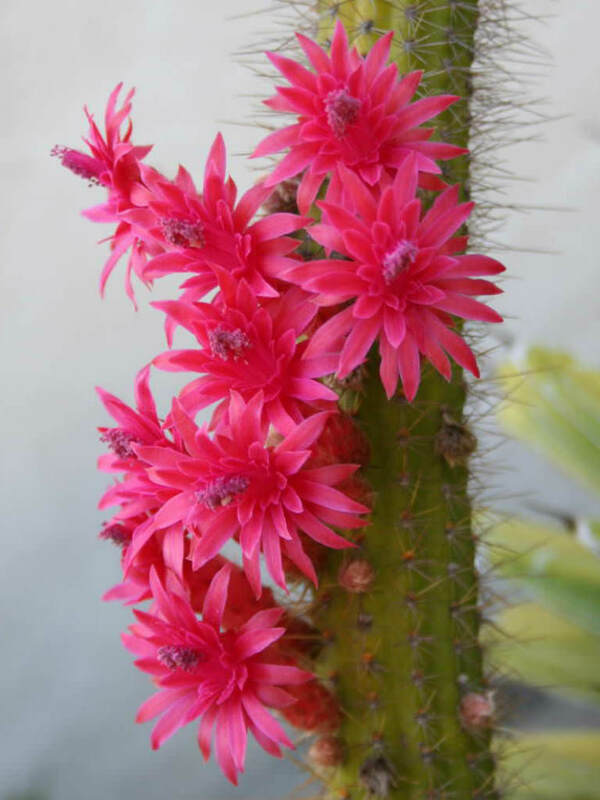 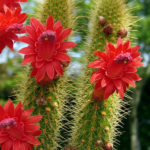 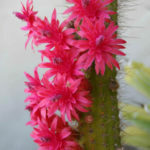 The brilliant red to pink flowers are up to 2 inches (5 cm) long and up to 1 inch (2.5 cm) in diameter. 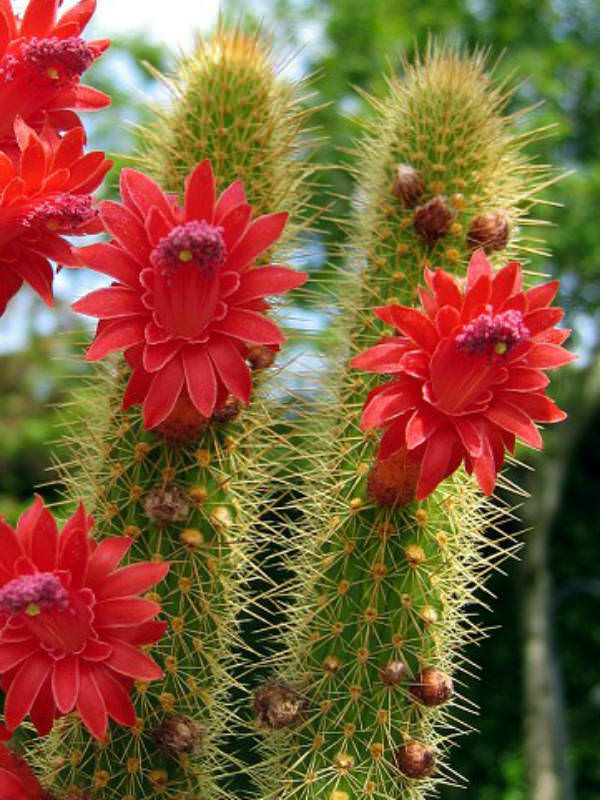 The fruits are small, spherical, and reddish with dense white and brown wool, up to 0.4 inch (1 cm) long and wide.